I really really love this series of mystery novels set in small town Minnesota. I’ve waited patiently (and by patiently I mean stalking NetGalley and Amazon and the author’s website) for each new release. And I’ve enjoyed every delicious moment of librarian sleuthing, senior citizen joking, boyfriend avoiding, festival attending, and the good guys overall trying to keep out of trouble while helping find the bad guys. But this one failed me. Lourey wrote this installment just a little too much on the other side of lewd and bawdy. I’ve gotten to know the main character over the years, and she wouldn’t forget underwear, much less deliberately go without it. I didn’t like the contrived sensuousness at all. The mystery was a little macabre for me as well. I just want to go back to the earlier books and enjoy a decent cozy mystery without wincing and scrinching my nose. Maybe my tastes are tame compared to yours. Maybe you like when things get a little crazy and you were disappointed with earlier books, waiting for more crazy to happen. If so, read March of Crime, and you’ve got your wish. From San Francisco to Salem, Massachusetts, childhood friends Bel and Salem find themselves running away from psychopaths and toward hiding places for clues to a mystery they don’t even understand. In their quest to save their mothers, the presidential candidate, and the world, the women pick up more clues than they bargained for… and they find themselves. 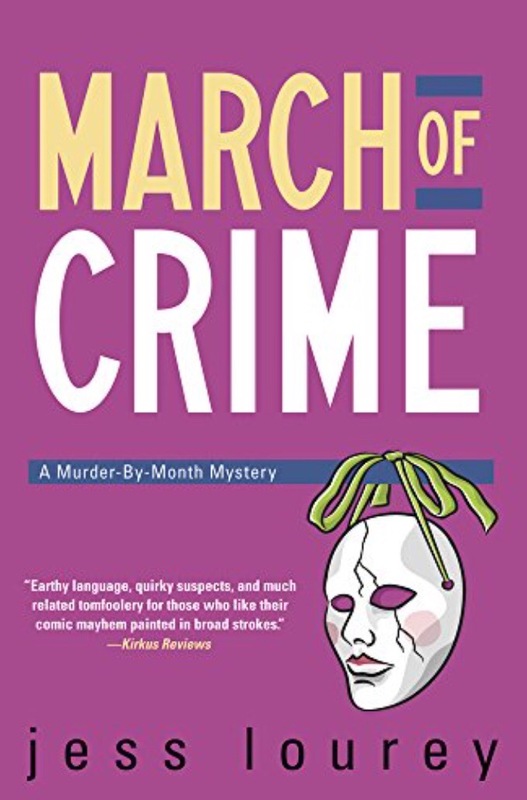 I’ve long admired Jess Lourey for her cozy mysteries (Murder by Month series, similar to Stephanie Plum books). So when Lourey came out with a gritty, suspenseful thriller I wasn’t sure what to expect. I’m a happily-ever-after girl and I cover my eyes when a bad guy appears on the page! I took a chance and WOW am I glad I did. 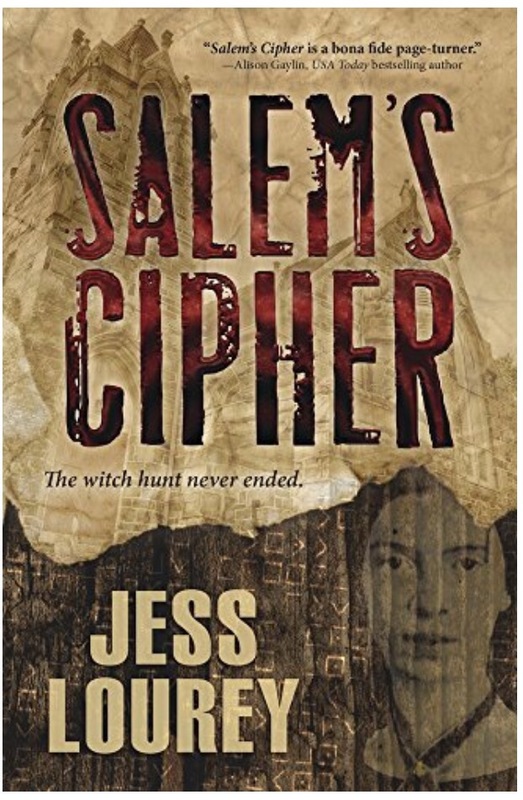 Salem’s Cipher is rich with art, history, geography, secret societies, conspiracy theories, federal agents, and cracking codes. I enjoyed the authentic friendship between the women, their mad MacGyver skills, and the sweet Mercy child. Even if this isn’t your usual genre, I urge you to take a few trips cross-country with this crew. It’s a little scary, a little bloody, and a lot fun! Holy Moly, Jess Lourey! 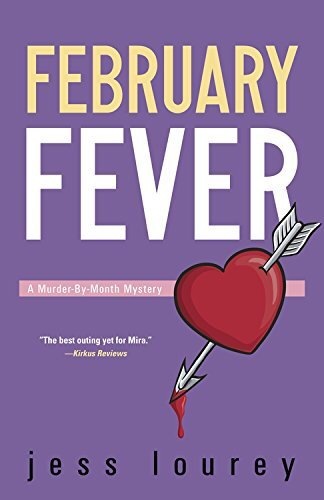 Here I thought I was embarking on another cozy mystery, threaded with a teensy bit of romance and some humor. But no. Instead I got Murder on the Orient Express sends Valentine’s Day off its tracks, and Things Are Not What They Seem goes deeper than a good disguise. I laughed a whole bunch at the beginning of Mira’s train ride with nutty Mrs. Berns. All the elements of a good mystery came into play, with Lourey’s usual wit causing me to chuckle. The writing rocks, too. My favorite line about being stuck in a snowstorm: “Overhead, snow fell heavy like dirt on a casket.” Foreshadowing at its finest. After the halfway mark, however, things got serious. Murders needed to be solved, people’s safety was at risk, and any laughter was only from pure comic relief. By the end of February Fever I was crying like a baby. Mira may have solved the mystery on the train, but she also brought full-circle some unresolved heartaches. Writing a funny mystery that naturally turns serious takes talent. Ending same book with a funeral takes guts. And leaving me hanging about the next step for Johnny and Mira’s romance? Pretty clever. When can I read the next book? !